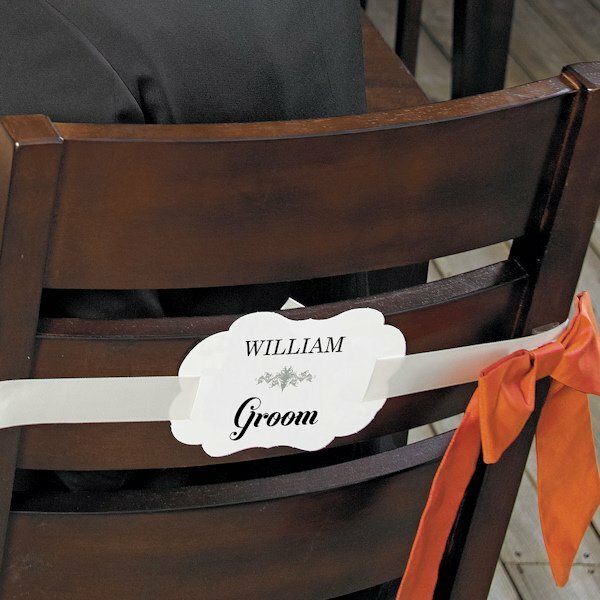 Add a little style to the Bride and Groom's reception chairs with our Personalized Bride and Groom Signs for Chairs. 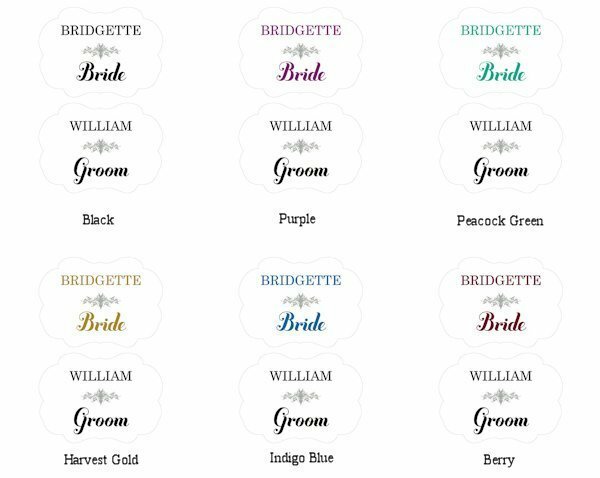 While the Groom's marker comes in Black, you can choose from a variety of popular colors for the Bride's marker to match your theme. 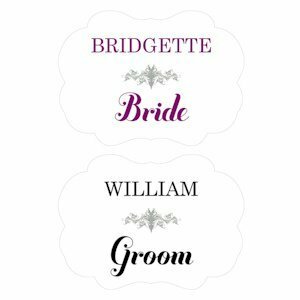 Each sign measures 7" wide x 5" high and is crafted from 100lb Die Cut Card Stock. Some assembly required. 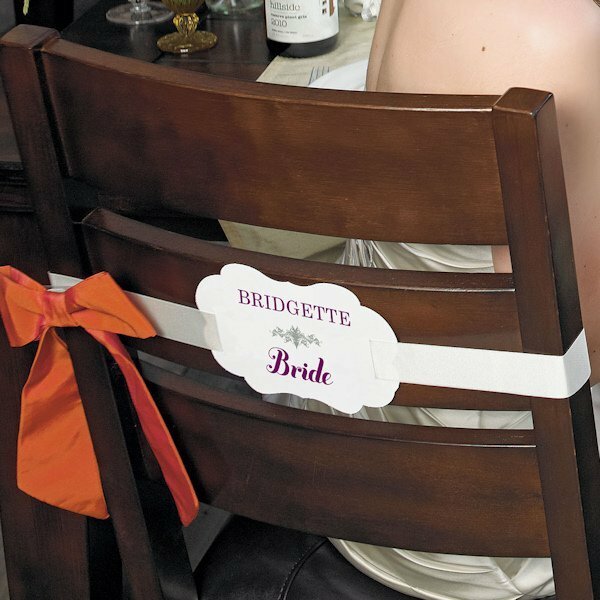 Attach to the back of a chair with a ribbon. Ribbon not included. 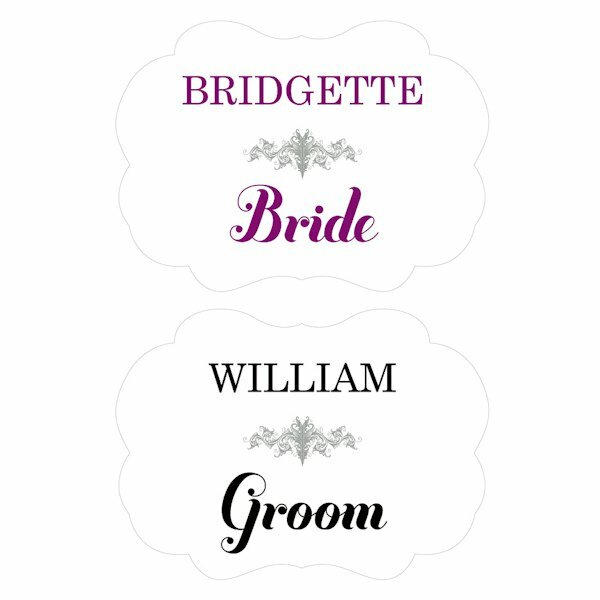 NOTE - we also sell embroidered fabric sashes for the bride and groom if you prefer (see item 29688P).